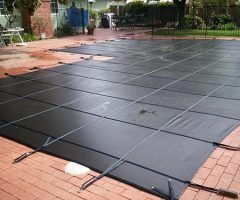 Your pool requires a cover without concern what season it is. 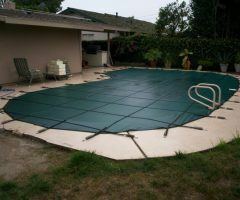 During the summer, a pool cover helps in keeping out all the debris and leaves out of the water. It will also help in preventing evaporation. You can also use Cheap Pool Covers to protect your pool in the winter season when you are not going to use it. There are different types of pool covers and choosing the right one can be difficult. This guide explains the popular options which are widely used by people. If you are looking for the most basic, cheap pool covers, leaf nets are the ideal options. They help in keeping out leaves and other debris out of your pool. Usually, these covers are used along with heavier winter covers. Solid covers are made of some solid material and can effectively keep sunlight and debris out. Usually, they require a drain panel because they are impermeable. Even when using the appropriate cheap pool covers, make sure to follow the basic routine for pool care. It will help in preventing major repairs, while ensuring that your swimming pool remains ready throughout the year or season.